Whatever type of music you prefer, there is a pub or club around the county to suit you! At John Benny’s, guests are encouraged to have a go at a song or a tune; for the experience but also so our voices don’t wear out with all the singing! Listen and enjoy the experience of great live traditional Irish music and songs in Gaelic and English. Resist the temptation to video, if you can at all – it’s so much more real and memorable to take it all in… and remember that’s how we all came to have a tradition of song and tunes ourselves. Music Wednesdays , Fridays and Saturdays in winter from the beginning of November. Find us on Facebook at John Benny’s Pub Dingle to stay up to date with current events and music sessions! The traditional music session has played a central role in the passing of music from one generation of musicians to another and from one musician to another. 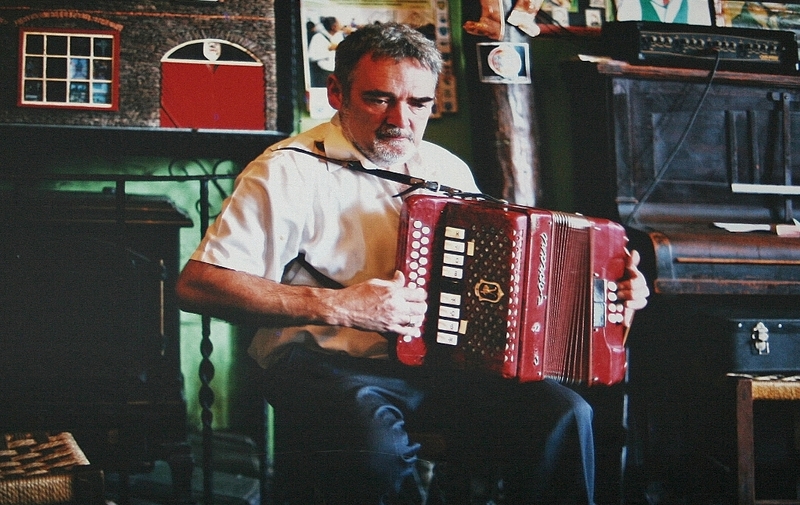 The session in O’Flaherty’s has been part of the pub since the day it opened. There are Traditional Irish music sessions most nights of the week and musicians are welcome to join in. Music sessions start about 9.30 pm and are held Monday, Tuesday, Thursday, Friday, Saturday and Sundays of Bank Holiday weekends. Sessions are led by Fergus Ó’Flaithbheartaigh, Bríd Uí Bhriain and Tom Lynch. Check the Facebook page, O’Flaherty’s Bar, for upcoming sessions. The Jarvey’s Rest Traditional Irish Pub is located on the Muckross Road, just 4km from Killarney town centre. Over the years Jarvey’s Rest has become a landmark location on the amazing Ring of Kerry Driving route. 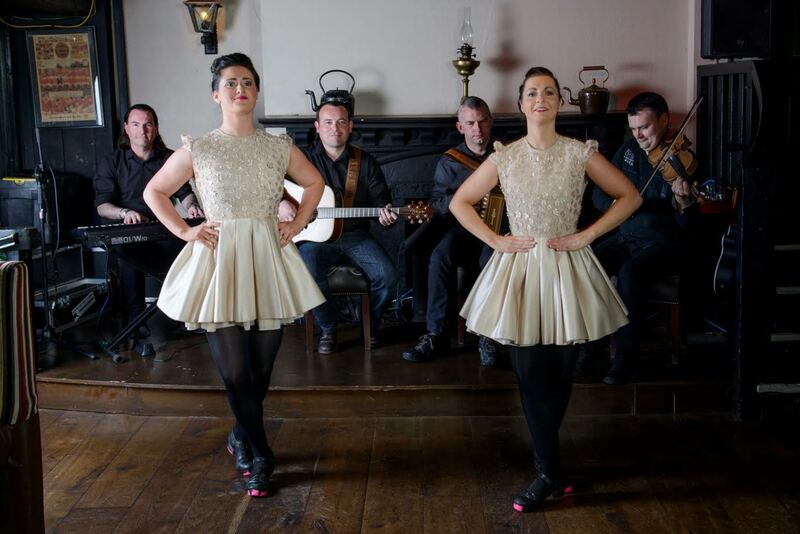 Renowned for its Irish Night pub show with music by Onora who are joined by the Sinseori Dancers every Tuesday, Wednesday and Saturday night from 8pm. There is also live summer music Thursdays & Fridays from 8pm. Lunch specials are served from 12.30 daily from just €10 and the “Sunday lunch special” offers main course & dessert for €20. 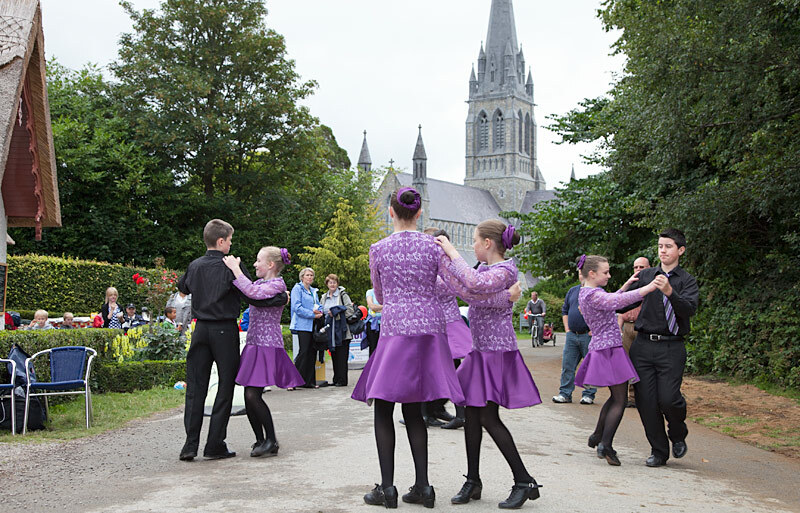 One Saturday evening, last August, I was at a Spraoi Chiarraí concert in St Mary’s Church of Ireland in Killarney. These concerts are aimed at visitors and showcase Irish Traditional Music, Song, Dance and Story Telling. I must say I was really impressed by the professionalism of musicians. The music was excellent. The show opened with Mike, Mary and Sean Kelliher and they were followed by Tim O’Shea, Padraig Creedon and Catherine Carey. Really first class and it went down very well with the visitors who filled the church. St Mary’s was built back in 1870 and is a beautiful building with great acoustics and a really nice atmosphere for a concert. And the great thing about these concerts is that there’s no admission charge. They start at 8 and finish about 10 so they’re ideal for families. For information call 087 281 4550. Siamsa, pronounced “Shee-am-sa”, comes from the Irish language. The word itself expresses mirth and music; Tíre means ‘of the land’. 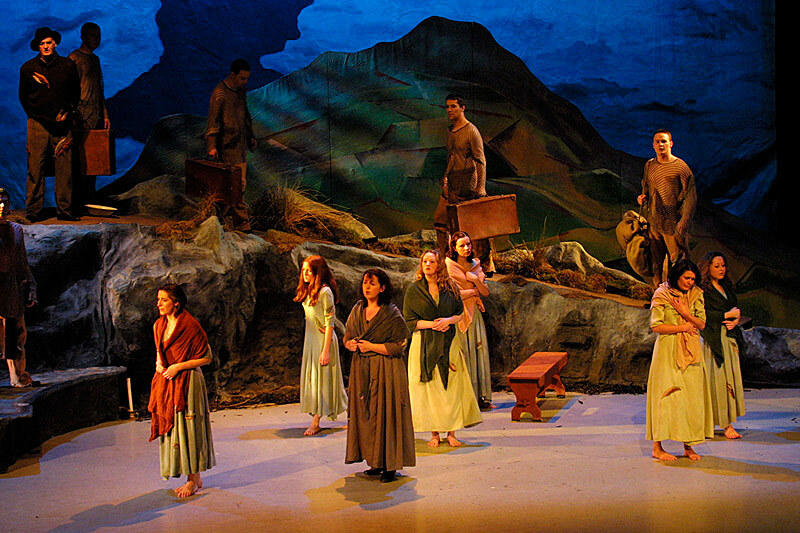 As home to the National Folk Theatre, Siamsa Tíre presents five months of folk theatre productions between May and September. They also train young people in the traditional arts, produce new work and tour internationally throughout the rest of the year. On Thursday night last I was in John B. Keane’s pub in Listowel. Every Tuesday and Thursday night during the tourist season they stage drama acts in the pub – with free admission. The pub was packed to capacity but the atmosphere was real homely – Mary, John B’s wife, making sure everyone had a seat and Billy, John B’s son, pulling pints and introducing the play and the cast. John B was really a marvelous writer with a real insight into the ordinary lives of the people in his community – the play was brilliant. 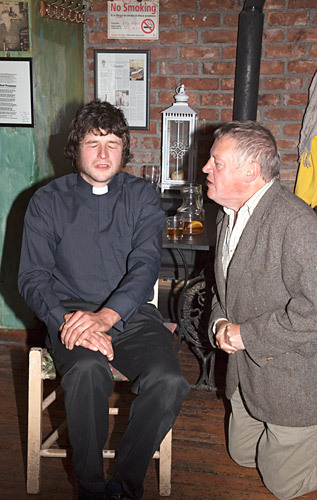 At times the audience were in hysterics with laughter and at times they were really touched by the sadness of the plight of the play’s main character – John Bosco McLaine. A great night’s entertainment, something that locals, and especially visitors, would love to talk about for a long time afterwards. As I finished my drink and headed for home, Billy was about to organise a sing-song. I regretted having to leave the warm atmosphere and the craic.